Discussion in 'TalkCeltic Pub' started by TC News, Feb 1, 2019. Discuss Celtic Should Not Fear Valencia in the Europa League in the TalkCeltic Pub area at TalkCeltic.net. Most fans would put Celtic being drawn against Valencia in the Europa League Round of 32 in the “could be worse, could be better” category. Sure, it’s always more exciting to play a big name in Europe, making those cold nights in February and March a bit more palatable, but it would have been nice to have an easier tie at this stage, perhaps reserving trips to Spain, Italy and down to England for the later rounds. Regardless, Valencia should not be overestimated by Brendan Rodgers’ men in this intriguing match-up. This is not the Valenica of the early 2000s, who were taken all the way to the Champions League Final twice by Hector Cuper. Nor is it the anywhere near the team that won the Spanish League and Cup double under Raf Benitez in 2004. The Valencia of 2019 have won just five league games all season, scoring a paltry 19 goals. 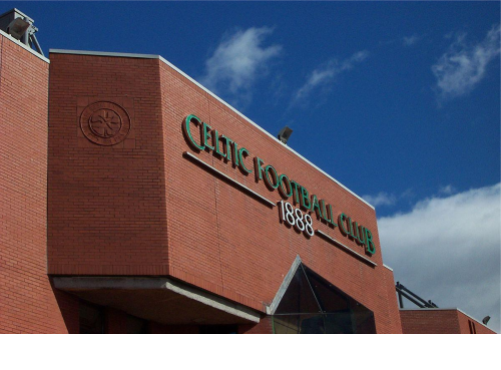 They have quality to be sure, but Celtic should go into this game with a high degree of confidence. However, the bookies, as you might expect, have called it in favour of Valencia, with Coral going just 2/9 the Spanish side get through the Last 16 at Celtic’s expense. The best-price on Celtic is 11/4 with William Hill, making it pretty tempting to back the Bhoys over two-legs when you consider Hills are listed on this guide to free betting sites. As with almost every European two-legged tie for Celtic, the key is going to be the home performance. Amazingly, Valencia are big favourites to take victory at Celtic Park (14th Feb), with Paddy Power going just evens on the Spanish side. That really looks like a dud bet, and Celtic are objectively good value at 13/5 with Bet365. The away league will be difficult, of course, and a win at Rosenberg earlier in the competition does not suddenly mean Celtic have got over their traditional European ‘travel sickness’. But should Celtic go to Spain with a lead, it is possible the defence can keep a rather toothless Valencia at bay for 9o minutes. Of course, none of this is meant to dismiss Valencia out of hand. Bookmakers aren’t stupid, and there is a reason they have ranked Valencia as the 7th favourite for the competition, with odds as low as 14/1 with Sky Bet. Celtic’s odds range from around 66/1 (Bet365) right up to 120/1 (Unibet). Indeed, with the likes of Daniel Parejo and Michy Batshuayi (on-loan from Chelsea), Valencia do have a quality in their ranks. However, the main threat will come from the excellent Rodrigo. The Spanish international was one of the few bright sparks for Spain at the World Cup. He hasn’t been finding the net much this season, but he can be a real handful and will pose plenty of problems for Celtic’s defence. In the end though, one has to look to find the quality in this Valencia team. You have to make the case for the Spaniards, rather than have a clear assertion that they are a good team. Indeed, you could put them in bracket with – or even below – RB Leipzig. For obvious reasons, Celtic fans should have nothing to fear with the (former) Spanish giants.